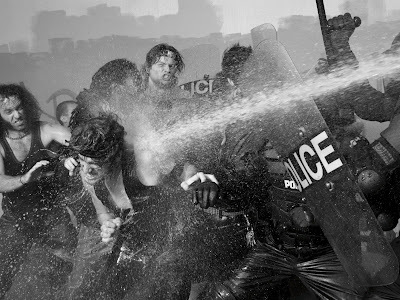 The riots are said to be started by the shooting of Mark Duggan – and a peaceful protest in Tottenham turned violent outside a police station, since then the UK has seen similar scenes of violence. It has seen ministers come home from their holidays and they have been making statements. 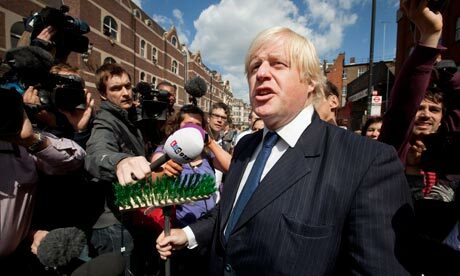 The Mayor subsequently picked up a broom and approached the crowds saying you are the “real spirit of London”. The problem that the locals all across the UK have is that they should have been protected against the looters and the police’s softer tactics are seen as being the result of extensive damage to property which could have been avoided if they were more “robust” as their operations are now going to be. In court today for looting was an eleven year old and a man who works as a teachers assistant – the boy and man admitted charges to looting. 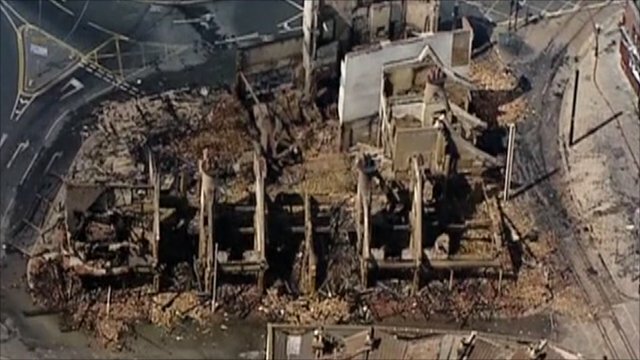 The clean up has been happening all over the country and boarding up of damaged buildings and shops. Tim Godwin – The Acting Chief Commissioner of The Metropolitan Police said of yesterday nights rioting scene in London as “far quieter” compared with the riots on Monday, he said “there will be many more arrests to come” and “we will catch them all.” He talked of the support received from the community “who are standing up and saying this is outrageous”. The image made the front pages of many newspapers including: The Guardian, Times, Sun, Daily Mirror and Daily Telegraph and it also made the inside pages of all other national titles. The leaflet apparently gives a further insight into the fact that their is a certain amount of organisation amongst the rioters. The latest is that a Sikh place of worship (Gurudwara) is on fire in Derby and this is in the aftermath of a mosque apparently being burnt a few days ago – RUMOURS FOR NOW – YET TO BE CONFIRMED (A Sangat TV reporter reported this via a tweet) (1:41am) The Gurudwara on fire turned out to be a car on fire nearby from further reports. As for the Mosque it is said to have had missiles thrown at it by two teenager boys – who are now being questioned – this happened on Monday 8th August. Sangat TV made the BBC news for their broadcasting of exclusive footage of the riots globally; the BBC said of Sangat TV “SANGAT TV, which was unheard of by most people just a few days ago, has taken viewers right to the heart of the disorder with its own unique style of reporting and plea for calm.” The footage was re-broadcast by News channels in India and also by SKY, CNN and the BBC the footage was of riots in Birmingham. There have been many arrests and this has seen some courts open throughout the night. 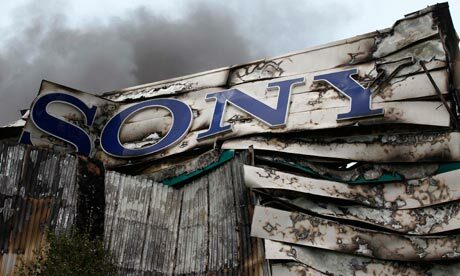 Three teenage boys have been arrested in relation to the Sony Warehouse in Enfield; Indie labels music was stocked there and the fire has left Sony without their artists’ CD’s including one of their signings Adele also the UK film industry will be at a loss as many film companies had their stock within their warehouse, which was due for distribution. 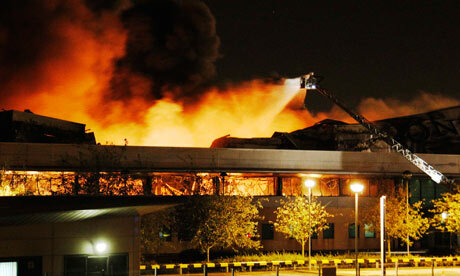 The burning of the building began on Monday 8th August. The fifth night saw less violence, and from reports a car was on fire – Birmingham and the Midlands were the areas which were being looked at carefully by the Police – Eltham also saw some incidents and missiles were thrown at the police. Last night is being reported as calm in most cities. Eltham and many other places have had non-looters patrolling alongside the police – the following is an image from Eltham last night. There is concern that the EDL – and the BNP will use what is being described as vigilante turnouts to their own advantage for inciting racial tensions. David Cameron is to speak to Parliament (11:30am), which is being recalled today to discuss the riots in the country. He said: When there are important events in our country, it is right that Parliament is recalled and that we show a united front.” He also went on to say: “More than 1,500 people have now been arrested across the country” and said we are “a year away from the Olympics, we need to show them the Britain that doesn’t destroy, but that builds; that doesn’t give up but stands up; that doesn’t look back, but always forwards”. A debate has begun from 19:00pm at Parliament which will see statements from ministers on the riots it is expected to last until 11:00pm. 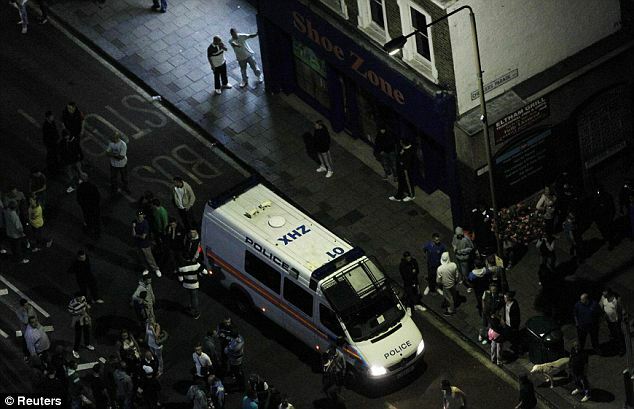 186 Police officers have been reported as injured since Saturday 6th August when the riots began in Tottenham and spread across the UK.